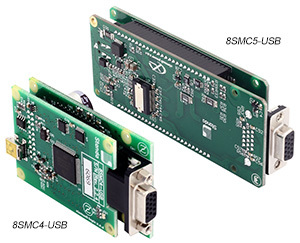 8SMC5-USB is the next iteration of the 8SCM…-USB drivers/controllers series which derive from 8SMC4-USB and in its turn its predecessor 8SMC1-USBhF driver/controller. 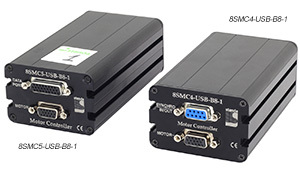 8SMC5-USB has included all capabilities, functionality of 8SMC4-USB as well as the compatibility of the software at the same time it has obtained additional advantages taking in consideration that the price was left the same. 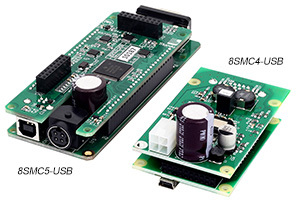 Especially integrators should take a note that the driver/controller board was modified. 1-Axis controller box design was almost left the same except its length which became 10 mm longer. 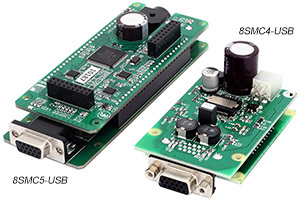 2-Axis controller box overall size was left the same. 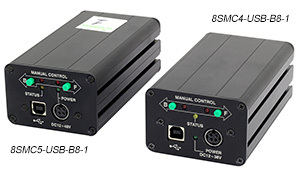 The users of the 8, 10, 12 industrial controller boxes won’t sense geometrical differences. Click here to get to the 8SMC5-USB / 8SMC4-USB controllers main webpage.